Natvie Forte contains rich combination of Vitamin C, Wheat germ oil and Vitamin E.
Wheat germ oil is a rich source of vitamin B6 and folic acid of the Vitamin B complex, magnesium, potassium and phosphorus and many other essential nutrients. It has antioxidant and anti-aging properties, which help in preventing many diseases like cancer, cardiovascular disease, etc. 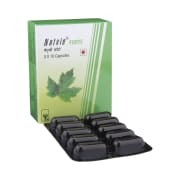 It also helps in reducing the signs of aging like fine lines and wrinkles, and also reduces premature aging signs. It preserves the texture of your skin and hair, and even protects the skin from damage. Vitamin E has been shown to reduce arterial plaques and enhance blood flow, inhibit thromboxane and platelet aggregation, protect serum lipids from oxidation (including LDL and HDL), reduce carotid stenosis (narrowing) and prevent stroke, trap harmful nitrogenous radicals, act as anti-proliferative agents, and provide powerful oxidative defence for the skin. 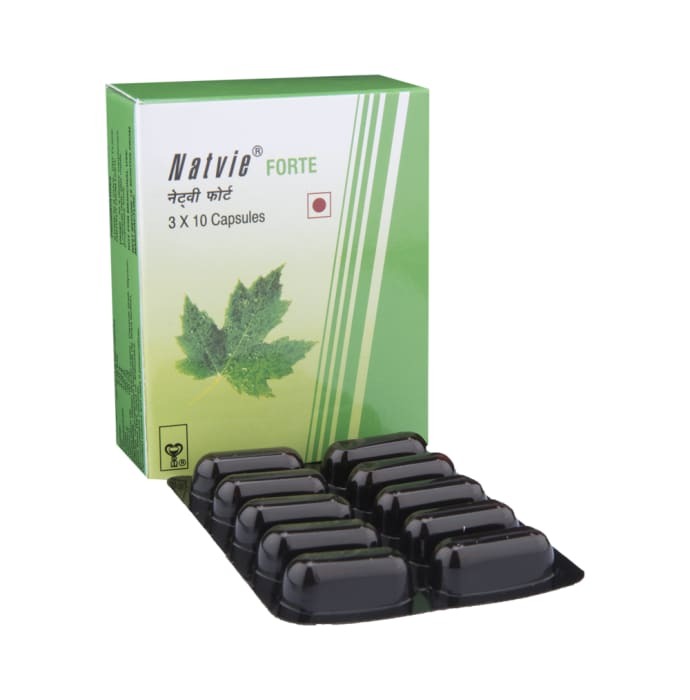 A licensed pharmacy from your nearest location will deliver Natvie Forte Capsule. Once the pharmacy accepts your order, the details of the pharmacy will be shared with you. Acceptance of your order is based on the validity of your prescription and the availability of this medicine.